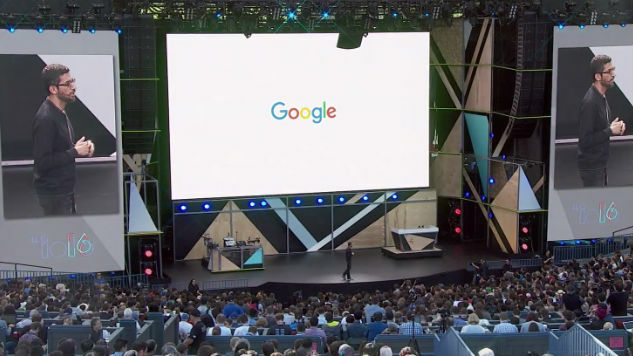 At Google I/O 2016, a three-day conference where the company brings together developers to discuss the future of technology with a focus on building web, mobile and enterprise applications, Google made some big announcements. The company previewed demos and discussed new innovations and update to their current technologies. Google introduced its new mobile virtual reality platform, Daydream, during Google I/O this year. The platform is built on top of Android N and appears to be bigger and better than Google Cardboard. Daydream will provide an experience for users to play around in, complete with a home screen and apps. Google has reportedly already made VR versions of YouTube, Street View, Google Photos and more. Companies have already started developing for Daydream as well—including The New York Times, HBO and Netflix. Speaking of Android N, Google says it’s getting a huge update when it’s released next year. Parts of the major software release will include: improved performance and graphics, file-based encryption, automatic removal of unnecessary apps, direct reply features on notifications, multitasking, and Android N will automatically download and install system updates…and more. Google showed off a design for a smartphone powered VR headset. Combined with the announcement of Daydream, it appears Google is moving quickly to get a backbone of software out there so companies will go in their direction when it comes to the hardware side of things. While they have not actually built anything yet, they revealed a reference design at I/O, which kind of looks like a small, cordless version of Facebook’s Oculus Rift. An extension of Google search, Google Assistant makes searching more natural and better supports voice searches. It also allows you to be more conversational with voice commands so you can ask multiple questions about one particular topic. At I/O, Sundar Pichai demonstrated that Google Assistant can parse context by asking when movies were playing that night, specifying that he wanted to bring the kids and then bought tickets without having to leave the app and communicating as if he were talking to an actual human. Google announced two new messaging apps, Allo and Duo. While Allo is a mobile only app with some cool features-like custom stickers, the ability to draw on photos and control font size-Duo is a video chatting app that mimics the FaceTime experience for Apple customers. The coolest feature with Allo is that it allows you to work with Google Assistant and start a conversation with @Google and ask questions, or even book reservations through OpenTable. Moreover, it can offer possible replies to you group chats based on how you normally write or respond. This summer, Duo and Allo will become available on both Android and iOS. Google made some big moves and promises in the tech space by introducing new innovations for all of the hottest areas of tech: messaging, VR and smart assistants. Despite impressive demos, we will be curious to see if Google can take the lead against the innovations of other tech giants, like Facebook’s Messenger and Oculus Rift, and Amazon Echo and Alexa. Regardless, it should be an interesting battle.